Grow with us! Join our leadership team! Communities like ours are about YOU — about learning and growing in a way that fosters teamwork, friendship, and fun. Every new volunteer, no matter what role they play, has an opportunity to touch our community in a positive way. We have several volunteer opportunities that are waiting for just the right person to fill them. For each of these roles, our friendly leaders will give you the training you need to succeed — and you will be working with a team of skilled, professional, caring people who are committed to the community’s, and YOUR, success. Being involved with our community is a win-win — you can grow professionally, have fun, and give back to our SIG and to the profession. Read on and let us know what interests you! We are delighted to announce that Marcia Shannon has agreed to be an assistant co-manager. Marcia has served as our SIG secretary, filling that role admirably and making many additional contributions. We now need a second assistant co-manager to serve with Marcia. What you’ll do: As assistant co-manager, you will work with your fellow assistant co-manager and the leadership team to become familiar with the operation of the SIG, assist the co-managers as needed, and prepare to succeed to the co-manager role after your one-year term ends. Helpful experience or skills: A high comfort level with online content management will make this job easier. We use the Google suite of documents for records and internal communication. Good project management skills are a plus because we juggle a lot of programs in our busy SIG. But fear not—you do not need prior experience as a community leader, and past leaders will be there to support you. We are a true team in every respect! The SIG management role is an excellent way to stretch your leadership skills, work with some of the friendliest and most talented people in STC, and make a difference. What you’ll do: The secretary ensures that our monthly leadership meeting notes are documented and performs other support functions for the SIG. Helpful experience or skills: A high comfort level with online content management will make this job easier. We use the Google suite of documents for records and internal communication. The role of secretary is ideal for volunteers new to the SIG and just getting started in STC leadership. Members of the leadership team will provide support before, during, and after the monthly meeting. This job can be as small as a few hours a month and as large as your own superpowers and commitment want to make it. What you’ll do: The membership manager is the first point of contact for new members. Once a month, the membership manager runs a community report from STC, which indicates our SIG membership count, along with changes in the number and status of our members and the names of our newest members. The membership manager reports this information to the leadership team, and sends a SIG welcome package to each new member to help them get the most of their SIG membership. Helpful experience or skills: A heart for welcoming new people, and a high comfort level with email and online content management will make this job easier. We use the Google suite of documents for records and internal communication. The role of membership manager is ideal for volunteers new to the SIG and just getting started in STC leadership. What you’ll do: You will monitor our social media activity and help us publicize SIG events and news through postings on Facebook, Twitter, and LinkedIn. In addition, you will develop and publish surveys of our SIG members to help us get to know them and what they want from our SIG. We will train you in the use of SurveyMonkey and Google Forms. Helpful experience or skills: Hands-on experience with social media tools will be a great background for this role, along with any experience or insights regarding developing effective surveys. What you’ll do: The content curator is responsible for keeping in touch with the instructional design and learning field online and finding online content that would be of interest to our members. When you find an interesting article or post, you may decide to share it on one of our social media outlets, suggest it as a possible newsletter article, or even submit it for inclusion in the STC Technical Communication Body of Knowledge (TCBoK). This job can be done anytime, anywhere, and in a variety of formats. Make this job your own by using your favorite communication platform and passing on what you find to the rest of the leadership team. Helpful experience or skills: Hands-on experience with social media tools will be a great background for this role, as well as natural curiosity and a nose for news. We have many other opportunities for your helping hands. If you are interested in being more involved but don’t have time to commit to an elected or appointed committee leader role, contact us at manager@nullstcidlsig.org and let us know your ideas! Or, plan to attend one of our monthly leadership meetings, where you can get to know us and find out more about everything we do. We meet via GoToMeeting on the fourth Wednesday of every month. Making a bold and courageous move, Marcia Shannon, our SIG secretary, is stepping up to be the next co-manager. You already know and love her as the vivacious volunteer and get-it-done servant leader on our team. Now, she’ll be serving as our assistant co-manager for the rest of 2018 and will be taking on the co-manager role in the new year. We welcome Marcia into the new role with an enthusiastic cheer and promise to provide her with support as she takes on new duties and empowerment as she makes improvements and puts her own special superpowers to work. We are delighted to announce that Jamye Sagan, our social media and survey manager, is now our new SIG treasurer. Jamye is a long-time SIG member and an accomplished volunteer. She has served on the Community Affairs Committee, and most recently served as the Community Achievement Awards (CAA) evaluation committee. Thank you for stepping up for this important role, Jamye! After more than two years of faithful and committed service, our beloved membership manager, Sara Buchanan, is stepping down. Sara has worked behind the scenes, greeting new members and keeping up with current membership, and we will miss her terribly. Her service to the SIG and to STC is exemplary. Sara is an active member of the Northeast Ohio chapter and currently serves as their newsletter editor. She has been instrumental in building a bridge between her chapter and our SIG and contributed a number of member spotlight articles published in both newsletters. We’re proud to announce a new IDL SIG awards program to recognize the service of our dedicated leaders and volunteers! This program serves as an additional way to express our gratitude for those who give their time and talent to our SIG, to STC, and to the profession. Volunteer Achievement, which honors a SIG member who has served as a volunteer for at least two years and has offered significant service to the SIG. New Volunteer, which honors a SIG member who has served as a volunteer for two years or less, and who “hit the ground running” with volunteer service in that time—or who has been a SIG member for several years but is volunteering for the first time. SIG members in good standing, regardless of their STC membership grade or previous STC recognition, can be nominated for either of these awards. The awards will be given once a year. 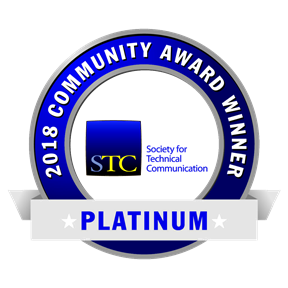 Recipients will be announced through our SIG communication channels, and will be given special recognition at our annual business meeting during the STC Summit conference. Watch for information about submitting nominees for our first SIG awards! Lori Meyer, an STC Fellow, has been a member of the IDL SIG for more than five years, and has served as co-manager (with Viqui Dill) since 2017. 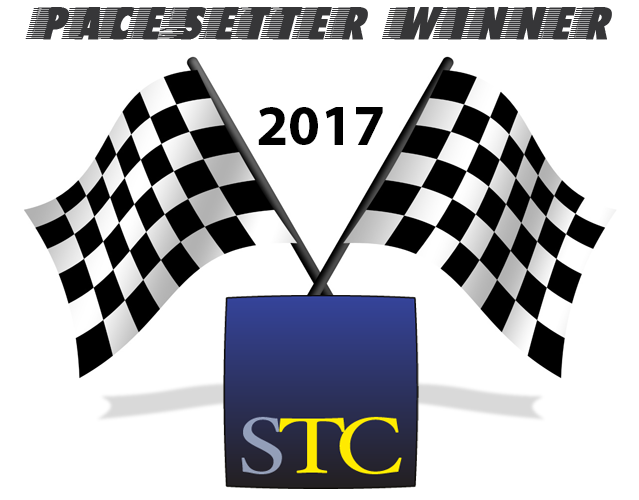 Lori is a member and volunteer in several other STC communities, including the Rochester, San Diego, East Bay, Washington DC, Puget Sound, and Carolina chapters, as well as the Technical Editing SIG.